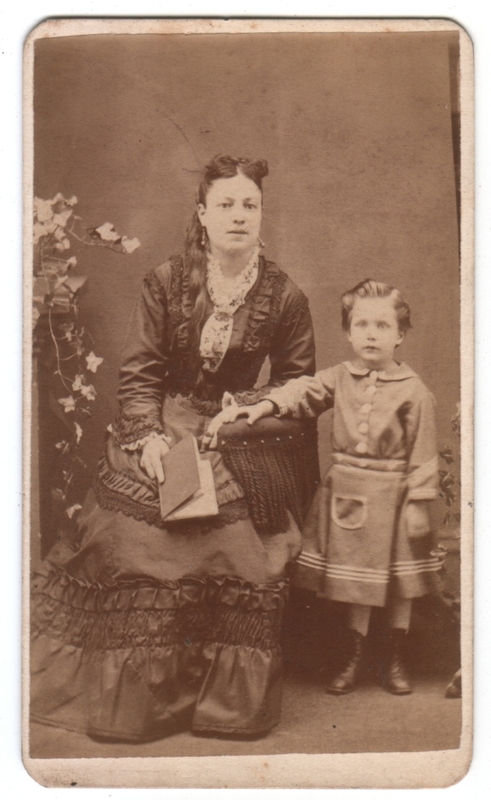 Carte de visite (CDV) photo measuring approx. 2.5 x 4.25 inches. Photographer is Mountford of Chicago. The date pre-printed on the back as part of the photographer’s imprint is 1875. The name Charlotte is written on the back in pen.